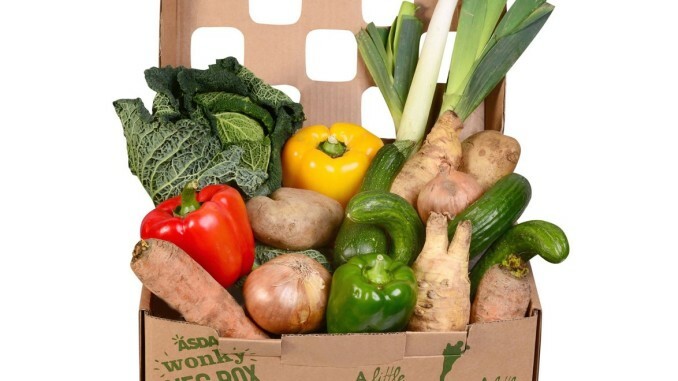 Following a successful trial in the South of England, Asda has introduced its £3.50 ‘Wonky Veg Box’ in 29 stores across Scotland including the Jewel. 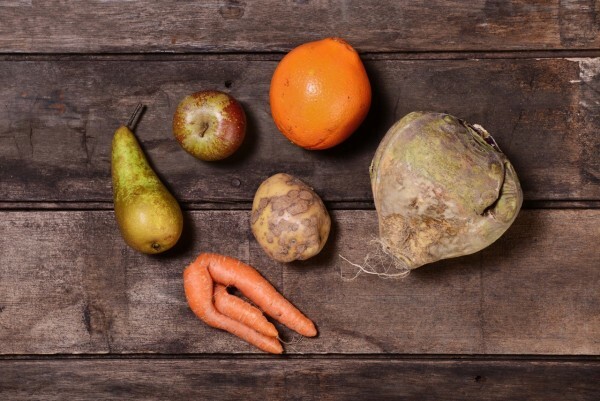 Asda has committed to making the selection box of ‘ugly’ fruit and vegetables a permanent initiative – and is committing to putting 10,000 boxes in to 550 stores, at least once a month. Each box includes 5kg of fresh produce which is enough to feed a family of four for a working week and costs just £3.50 – 30% cheaper than standard lines. The contents of the wonky fruit and vegetable box will vary dependant on the season but customers can expect to see things such as: carrots, potatoes, peppers, cucumber, cabbage, leeks, parsnips and onions, to name a few. Customer research shows that 65% of Asda customers are open to the idea of wonky veg and 75% are drawn in by the significantly low price, which led to the range becoming a permanent fixture in selected stores across Scotland. This latest extension of the initiative by Asda alone will result in at least 500 tonnes of ‘waste’ fruit and vegetables being taken from farmers and sold in the supermarket by the end of 2016. Maureen Watt, Minister for Public Health, added: “It’s great news that the wonky veg pilot is coming to Scottish stores. Asda have been one of the partners in our Eat Better Feel Better campaign, which aims to help and encourage people to eat a healthier diet. PUT A WONK ON IT? The ‘wonkiness’ element of the veg changes by product. Currently, 15% of potatoes do not meet specifications because they’re too big, too small or blemished and 15% of parsnips don’t make the shelf because they’re odd shaped or have superficial defects. Similarly, 10% of onions that are the wrong shape and size, and 8% of carrots grown with knobbles and bobbles are left with growers. These are the types of products that will be seen in the Wonky Veg box, meaning more crop is taken from growers. In addition to the wonky veg box, Asda has also been consistently reviewing its standards around size, shape and cosmetic standards, focusing on reviewing specifications across all fruit and vegetables to ensure even more product ends up on shelves. The retailer has already announced that 340 more tonnes of carrots and 300 more tonnes of sweet potatoes have been sold on shelf as a result of this initiative, but revised requirements around tomatoes, grapes, citrus and white potatoes now mean that a further 3,000 tonnes of fresh produce will be sold on shelves this year alone.